That man, the myth, the legend, Ben Heck, is at it again. Now he managed to cram the Atari 2600 into a somewhat small, handheld, portable device. Heck went a little old-school with this mod. It may be a little bulky, buy how else can you enjoy some Pitfall anywhere in the world. 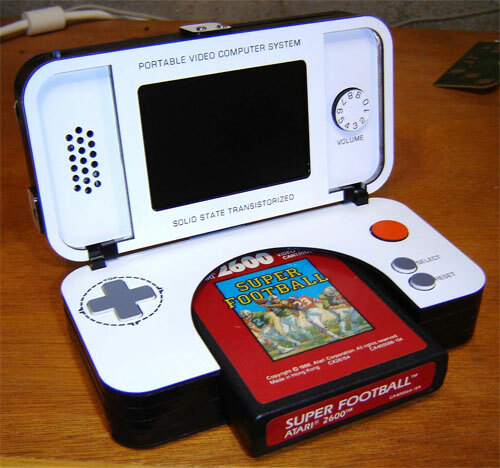 He also made ran a little Thurderdome action between the portable Atari 2600 (named the VCSp Rev7) and the other clamshell, handheld console, the Nintendo DS. This guy can churn out new console mods quicker than Jason Chen can put them down his pants.